The style began simply - prior to the Four Poster design, beds were no more than a hard board covered in fur or quilts. In the 13th century, a canopy was introduced, suspended by cords from the beams above, on which curtains were hung. 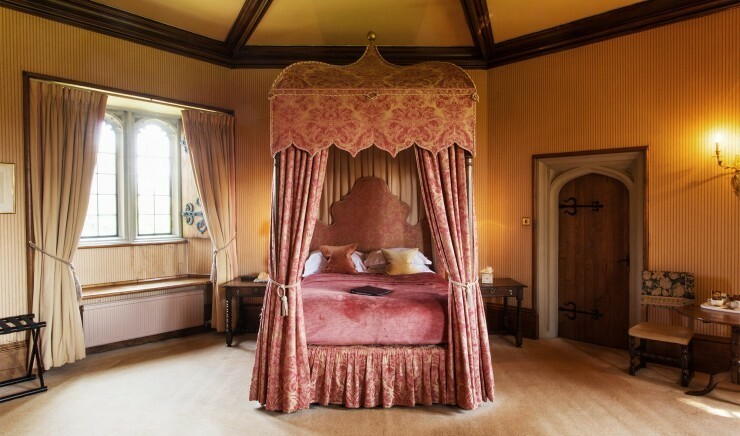 This developed into a bedchamber which was becoming a trend by the 14th century. Then came an elegant bedstead, called the Arabian, with bed curtains, hung from wooden or metal rails. The four poster was probably originated from Austria before migrating to England during the 14th or early 15th centuries. Though the design is now revered for its style and historical charm, the furnishing developed for more practical reasons than just beautification. Bedrooms in those times were often chilly and cold, and the curtains were drawn to help keep the sleeper warm inside, in addition to providing a great degree of privacy as the attendants often slept in the same room as the lord or lady. 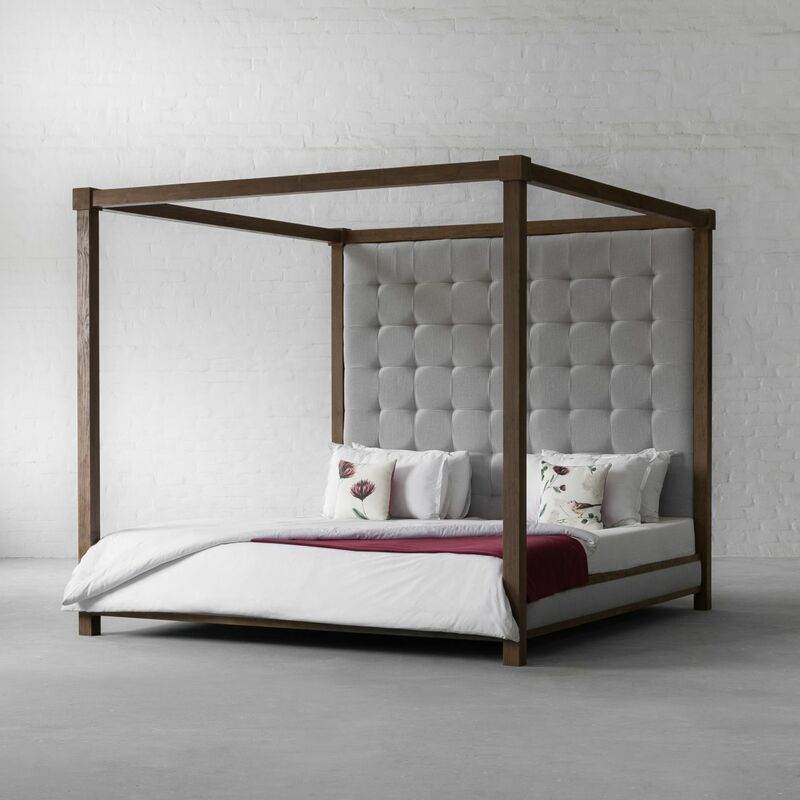 Mixing bold proportions and clean, straight silhouette in a style that is both timeless and modern; we bring to you, for the first time, Kingston Four Poster Bed. Offering a global traveller look, this 1970s postmodern inspired design features a beautiful upholstered and hand-tufted headboard while using a solid hardwood frame that highlights the warmth and natural rich grains of wood. 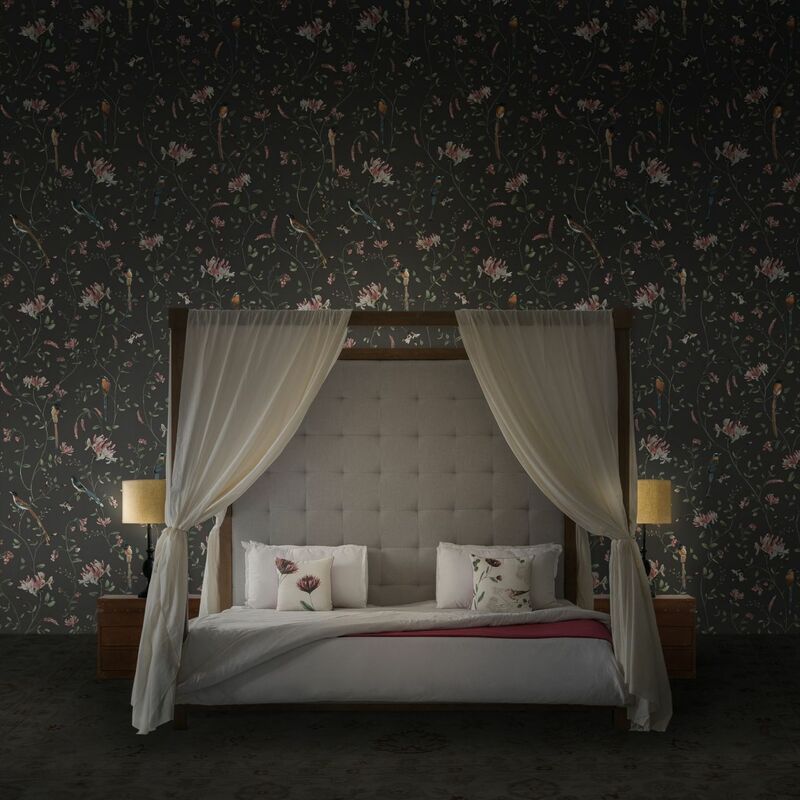 Finish off the look of this design with some light and airy curtains to create a bedroom that looks like a fairytale. 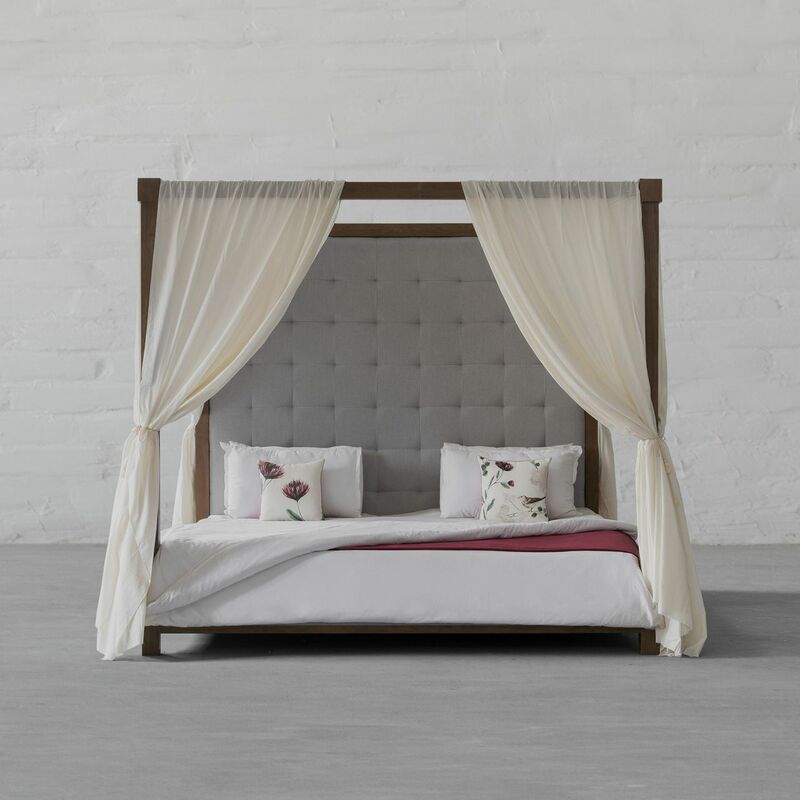 Ideas of the past & vision for the future, an amalgamation of age-old craft & modern techniques, this bed envisions luxury in all its forms and is going to be a delight in your night den.